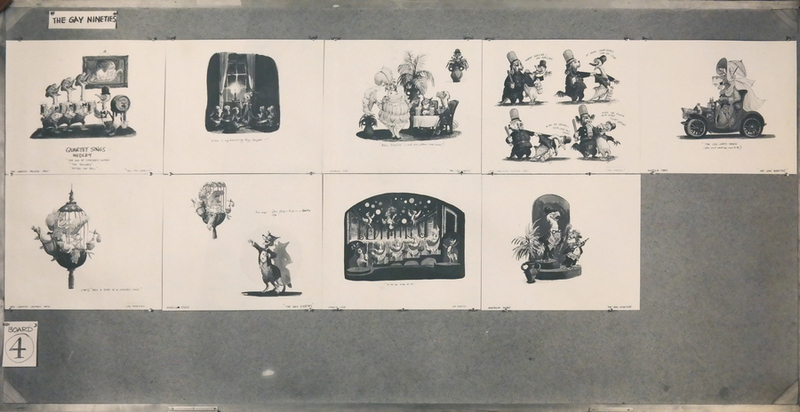 This is an original photostat storyboard board from the WED/Imagineering development of the America Sings attraction in the 1970s. 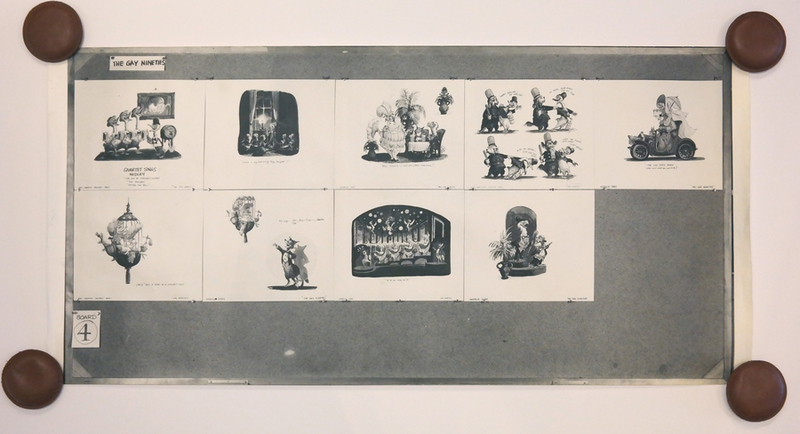 This photostat printed reproduction of the storyboards features elements from one section of the attraction and was created at the studio and used during development. Photostat prints are reference tools that are printed at the studio from photographs taken of the original artwork. The prints are then given to animators, technicians or story artists who would need to help with ensuring that they're all working towards the same vision. The overall measurements of the piece are 19.5" x 41.5" and the image itself measures 12.75" x 36.5". The sheet is in good condition, and has been stored rolled (as it will also ship), but there is some wear and creasing around the edges that is mostly in the margins.